The Spring Blossom ring is the color of the soft flowers as they make their brief and beautiful appearance on the cherry trees. The precious petals so delicate and light they fall like the last snow fall of the year covering the ground. 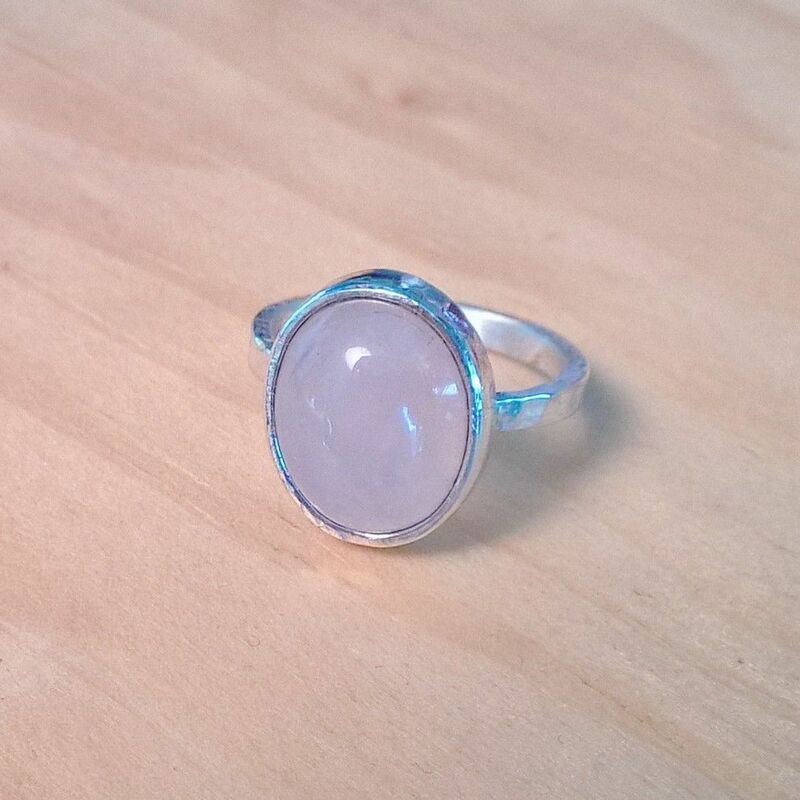 This rose quartz stone has a soft appearance. Though it has a delicate look the smooth shape makes it strong but the shape even carries the feel of the buds of nature. 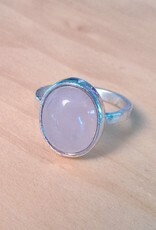 The rose quartz is set in a simple silver band for a feminine minimalist look and an easy gift for a good friend. Sometimes we need a little natural close to our hearts. 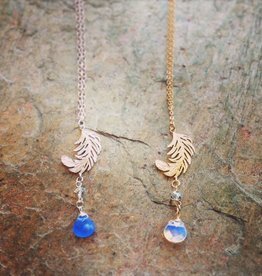 These lovely fern motif pendents keep us thinking of our coast rain forests. The blue dye quartz and moon stone attached play to the water that feeds this area. Very feminine feather on a gold or silver fill chain with a little extra flare. A stunningly elegent piece. Gold is accompanied by Swarovski crystal and Moonstone, Silver by Swarovski crystal and Blue Quartz. 20” long, lead, nickle and cadmium free. These darling little drops are textured and dotted. They have a lovely ornate but simple pattern. 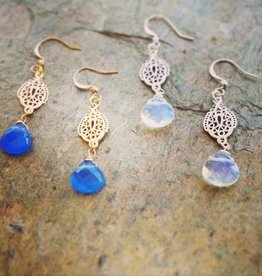 Finished with moonstone or blue quartz they are a lovely little addition to an outfit. Plated pieces with fill posts. 1.25” long. 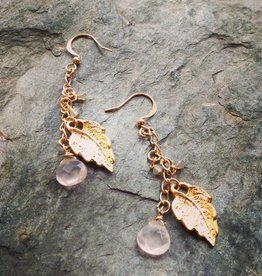 Lovely feminine drop earrings with stunning rose quartz. 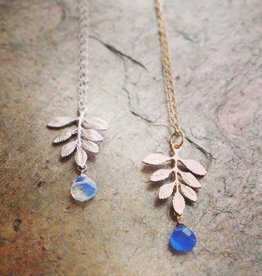 Add some Swarovski crystals for sparkle and delicate leaf pendants for the perfect romantic look. Fill posts. 1.75” length.